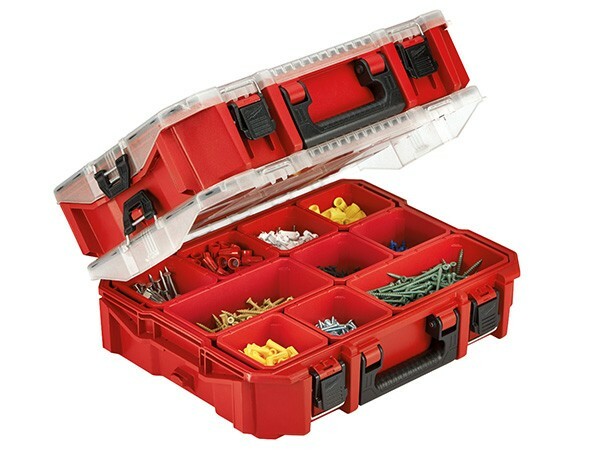 Milwaukee is continuing to expand their new line of jobsite storage solutions with the introduction of a new transparent-lid Jobsite Organizer 48-22-8030. While it may look like other jobsite organizers on the market today, Milwaukee says theirs has been “meticulously designed” for “increased productivity”, and provides 20% more capacity than the competition. 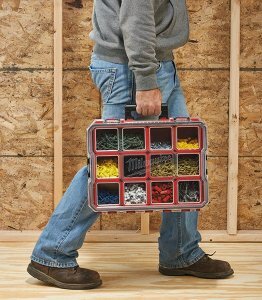 The Jobsite Organizer has been designed with professional tradesman in mind and features 8 small 4”x4” Bins and 2 Large Bins, which I assume, are 4”x8” in size. The small bins are the same size as an electrical box, so you can easily take them with you in the same case. Each bin has a corresponding seal in the lid that prevents items from moving while the organizer bounces around in the back of a truck. 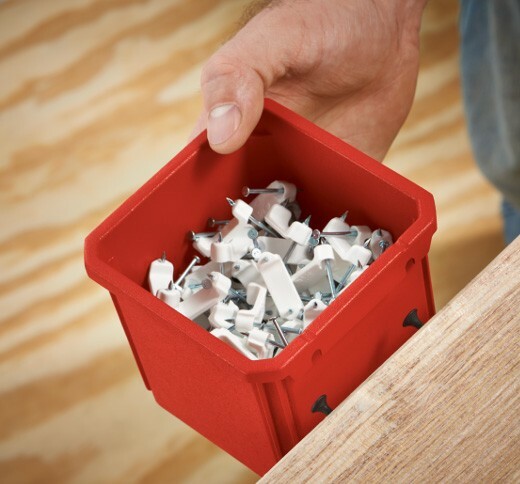 To increase productivity, Milwaukee has integrated screw slots onto each bin, which allows users to mount them. This is something I never would have thought of, but I can see how it would be useful to hang them on a stud to have quick access to the contents inside. The organizer features front latches to lock the lid into place, and an integrated weather seal ensures that the contents remain dry. 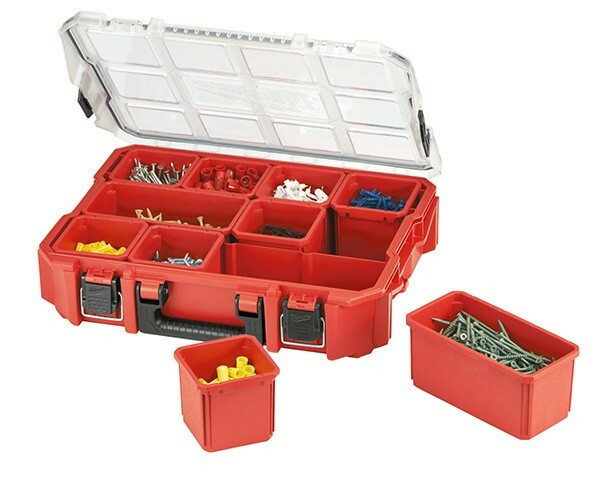 The lid also includes side latches that allow a second or third Jobsite organizer to connect to make a singular unit that is easier to carry. The Milwaukee 48-22-8030 Jobsite organizer will be available in May at select retailers, i.e. HomeDepot.